Its the Seaward Quest. 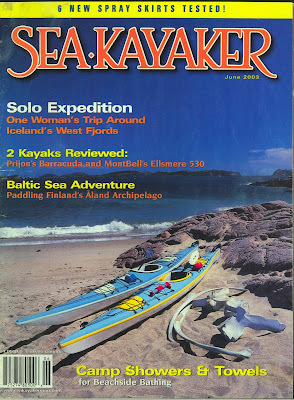 The same exact kayak on the cover of these two mags. 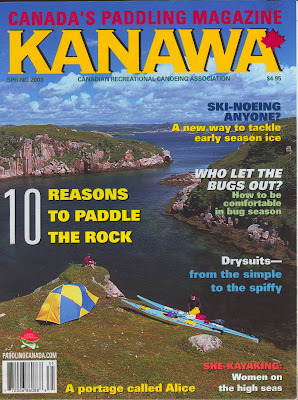 The kayak was owned by Richard Alexander(Pres of Paddle Canada) at the time these covers were shot. 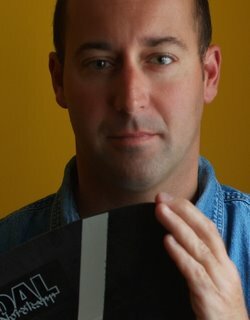 Colours are the same with blue and blue/green trim, white hull. 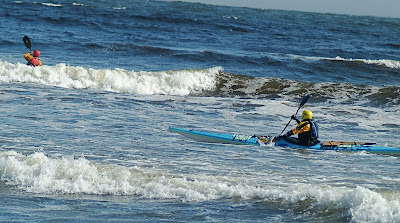 The kayak has rudder, pro neoprene spray deck, built-in on-deck marine compass, a kevlar keel/bow guard and an internal footpump. Price $1900. Before Noel's Post Tropical Storm. 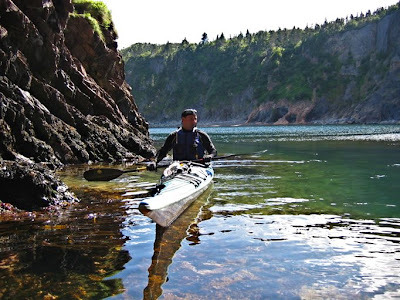 Gear and Cluttered Kayak Decks.